4 Piece Solid Oak bedroom Set – Nice, Simple & All Natural! Solid Oak Bedroom Set – 4 Pieces – Nice and Simple! And Natural! 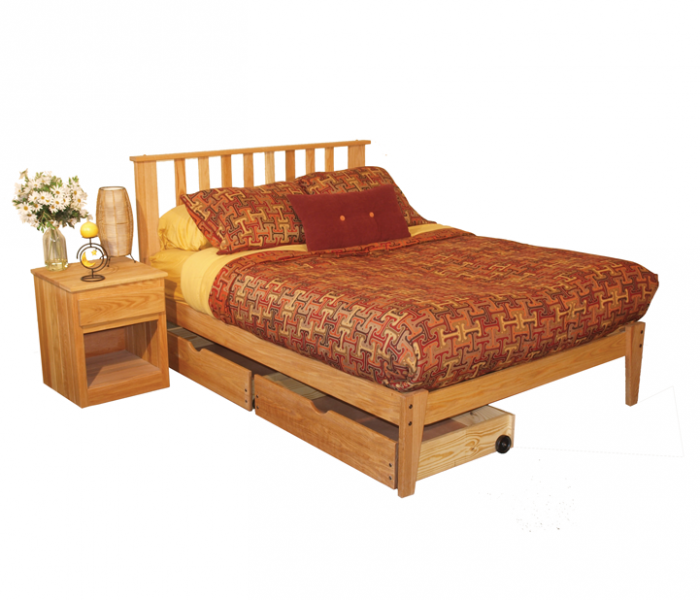 Like all of our platform beds, this frame does not require the use of a foundation or box spring. 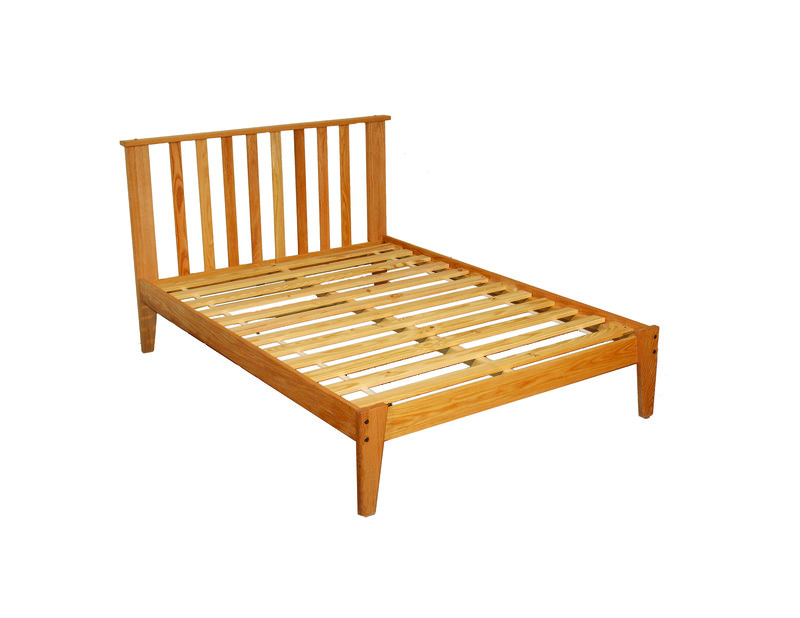 We use (12) Southern Yellow Pine bed slats for their strength to create a solid platform for your mattress but you can upgrade to 18 slats. 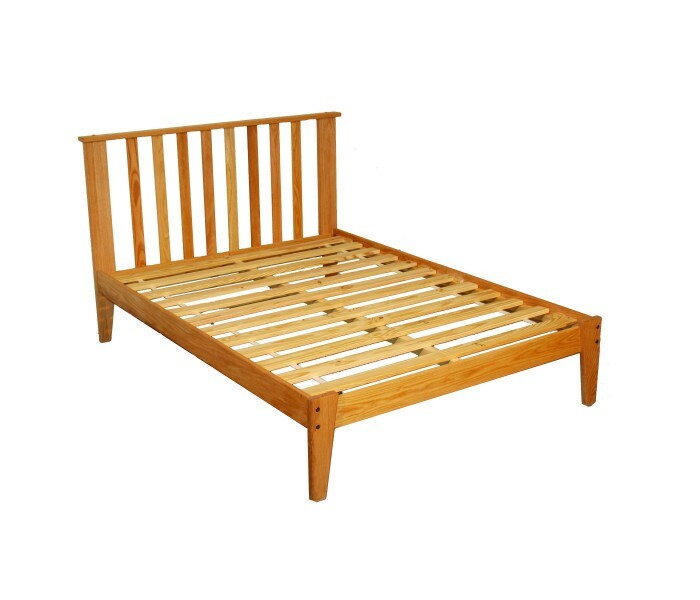 The natural wood slats also allow for good air circulation which are supported by a strong mid-support that runs the full length of the bed on our Full and Queen beds, and the King bed has TWO. 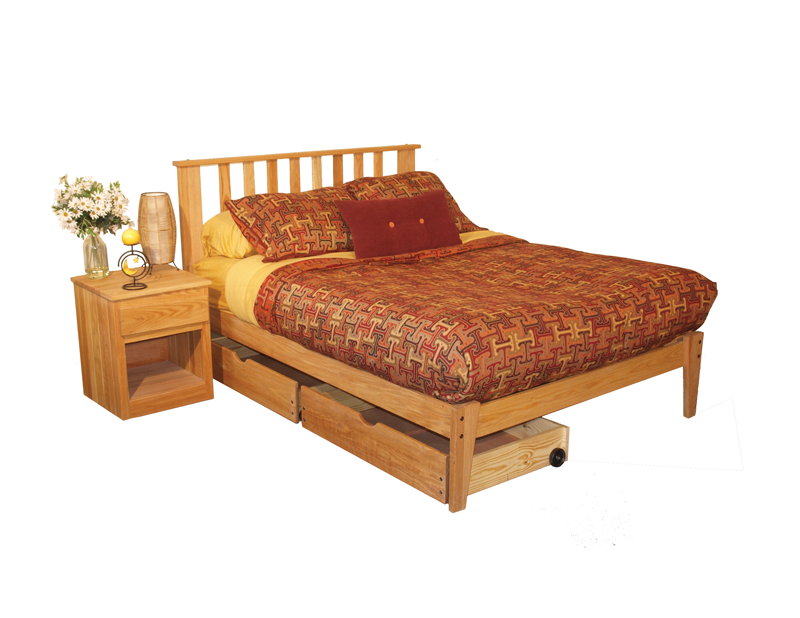 The platform bed height is 15 Inches while the actual platform height is 14 Inches which provides for a nice recessed area for your mattress. The under-bed clearance is 10.5 Inches below the rail so lots of storage space is available below! Built to last a lifetime, our 1-Drawer Oak Nightstands are the perfect compliment to our solid oak beds. and great for any bedroom. 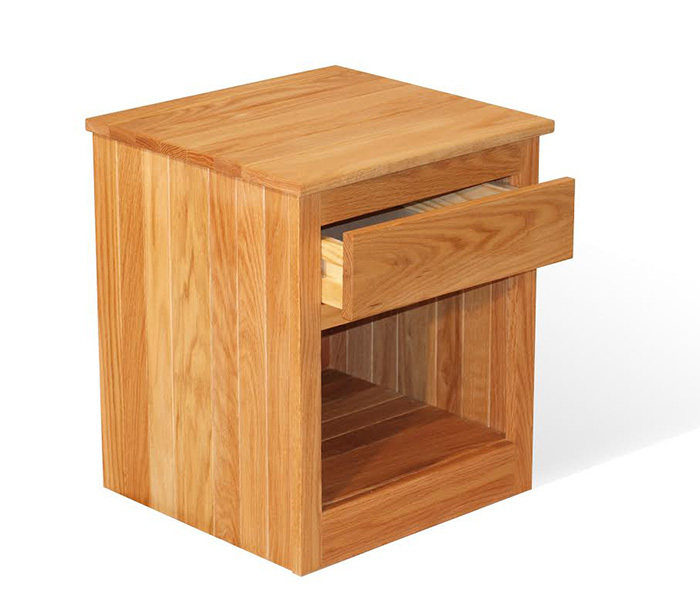 The top, sides, front face and drawer front are all made of 3/4 inch thick solid red oak for exceptional strength and durability. And like all of our chests and dressers, our nightstands feature our unique solid wood drawer glides. They just don’t make em like that anymore…well they don’t but we DO! This clean, contemporary and timeless design will never go out of style. All drawers have an under-drawer center pull to open (some photos might show a knob. They are optional and can be added). *Please Note: The sides and back of the drawer are made of Southern Yellow Pine while the back of the nightstand and drawer bottoms use 5.2mm luan (a thin plywood). But if you are chemical sensitive and looking for 100% pure wood, we do now offer an open back and solid wood drawer bottoms.